This is the problem with bringing plants inside for the winter. By the way, there’s still time to enter the Facebook / Twitter contest and win a Pear Calendar or a comic book! 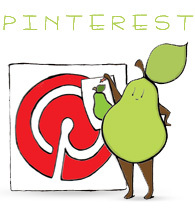 Just like or follow Angry Pear on Facebook or Twitter (if you have done so already, then of course you can enter), then comment on the contest post. It’s very important that you comment on the contest post to enter the contest. 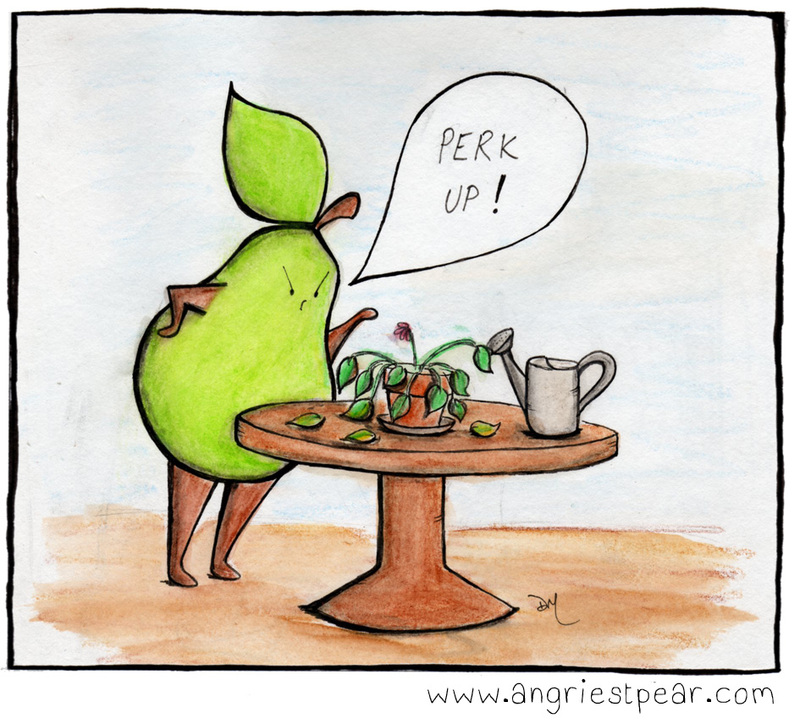 Categories: angry pear | Tags: annoyed, anthropomorphic, cold, comic, dead plant, drawing, food, fruit, humor, illustration, keeping plants over the winter, Pear, plants, winter | Permalink. haha.. this could be me ! She should be the expert on plants – ha, ha! I can relate to her problem though, I have a couple plants I am trying to keep healthy through the winter. Hahahaha. It’s true, she SHOULD know! This is me every winter. The plants get so leggy– electric heaters plus sub-zero temperatures makes for droopy, miserable plants.